Developers will no longer be able to change app screenshots willy nilly on their App Store listings as Apple cracks down on fake app scamsters. The update from Apple prevents devs from swapping grabs until there's a legitimate software update to go with them. 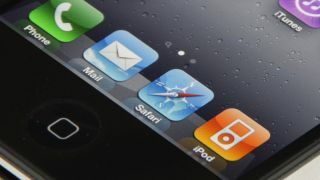 App Store scoundrels have been duping unsuspecting iPhone and iPad owners into downloading fraudulent apps thinking they are variants of popular apps by using screen grabs taken from the true apps. So no, Angry Birds: Starbucks definitely isn't an iteration that Rovio has approved (yet). Under the old system, developers could simply swap screenshots after Apple gave their app the green light, making it easy for baddies to fool us all; now that's changed. Apple's statement explains, "Beginning January 9, app screenshots will be locked in iTunes Connect once your app has been approved. "New screenshots may be uploaded when you submit a binary for an update to an existing app or a new app." No doubt this new process will prove frustrating for legitimate app developers but if it stops us wasting money on rubbish knock-offs (at best) and phishing apps (at worst), then it's all for the best.